Brittney is currently enrolled in the nursing program at the University of Hawaii at Manoa, but is thinking of possibly pursuing a degree in American Studies. 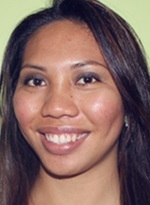 Currently, she works as a student intern for the Hawaii Pacific Health Nursing Education Department. This will be her first time traveling to Japan and is excited for the experience to learn about another culture. She is looking forward to the Japan trip, and hopes to gain a greater understanding of the bond that links Hawaii and Japan. Nalisha is a junior and was previously awarded the Centennial scholarship from the University of Hawai'i. She is a fourth-generation Japanese American and her grandfather served as a soldier for the 100th Infantry Battalion. She is inspired by her grandfather's heroic efforts, as well as Senator Inouye's and the other nisei who fought in the war, and looks forward to learning more about and experiencing Japanese culture along with the other participants. She hopes to contribute in strengthening the relationship between Japan and America. Stanley is currently an upcoming senior and actively participates in a number of school clubs and events. Off campus, Stanley works at a local elementary school in their after school care program where he is given the opportunity to work with students and plan activities. Stanley volunteers at a local hospital where his role consists of working one on one with hospitalized children. He also volunteers for a first grade classroom during the school year. After Family Resources, Stanley hopes to further his education by attending graduate school to become either a pediatric nurse or an elementary school teacher. During his time in Japan, Stanley looks forward to better understanding the diversity and richness of Japan’s culture and learning of Japan’s traditions and practices. John is an ambassador for UH Manoa serving as a campus tour guide for the university for three years. He has helped with many campus events over the years that pertain to getting people interested in studying at the university. His focus of study is on the dynamics of families and the relationships that parents and children have with one another. He also enjoys traveling and learning about other cultures. Through this program, he hopes to gain more perspective on the native Japanese culture outside of the local Hawaiian-Japanese culture that he is familiar with. 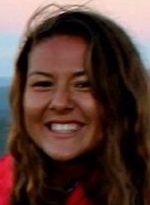 Kira is an adventurous, life loving girl raised in the Islands of Hawaii. 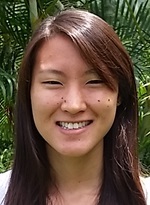 At UH Manoa she is a Regent Scholar and a member of the University of Hawaii Rainbow Wahine Swim Team. As a Regent Scholar she has helped plan many activities for the RAPS (Regent and Presidential Scholars) Club. As a member of the Rainbow Wahine's First Traveling Team, Kira has represented UH in many traveling meets and in the NCAA's Student Athlete Advisory Committee. In her free time Kira loves going to the beach, hiking, and taking in the natural beauty of Hawaii. On this trip she hopes to learn more about her Japanese heritage, eat wonderful food, make new friends, and create new memories to bring back home with her. At UH, Kristi works as a Teacher’s Assistant in the American Studies Department and as an Office Clerk on campus. 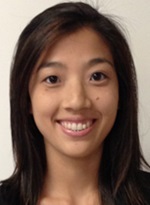 She also spends her summers working for the YMCA of Honolulu caring for elementary aged students. In the upcoming fall semester, she will being interning at the UH Children’s Center. Kristi has been on the Dean’s List for the past two semesters while most of her studies focuses on early childhood care and family studies. Kristi is looking forward to traveling out of the US for the first time and experiencing a new culture in Japan. She hopes to learn more about Japan’s history and traditions. Kellie is a UHM Chancellor's Scholar. She serves on several committees and is the president elect for the UHM Campus Center Board and is involved with the leadership of InterVarsity Christian Fellowship. 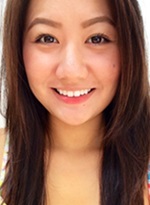 She also works part time as a UHM campus tour guide for the Office of Admissions.She recently participated in a Study Abroad program to Konan University in Kobe, Japan for a six-week intensive language learning curriculum. She was recently awarded the Japanese American Veterans Association Founders’ Memorial Scholarship for 2014. Her goals for the trip include learning more about Sen. Daniel Inouye’s impact on Hawaii, sharing Hawaii's culture and gain greater understanding about her Japanese heritage. Her hobbies include traveling, cooking, and trying new things. As a scholarship recipient for Nā Hoʻokama a Pauahi and Kuaʻana Native Hawaiian Student Development Services, Victoria is involved in multiple community service organizations. 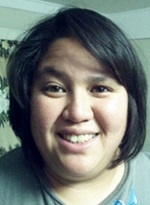 She is a member of Family Programs of Hawaii, where she is a childcare assistant for foster kids at support group meetings. She is also an assistant on campus for students with disabilities. As a Family Resources major, Victoria’s involvement in different community service organizations inspires her to focus on becoming a counselor for the youth. On this trip, she is looking forward to exploring, learning and understanding more about Japan’s unique cultural diversity within the communities. Born and raised on the island of Oahu, Nina actively leads in her community, through both volunteer efforts and outreach events. 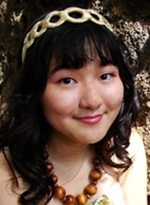 She has received the Danny Kaleikini Scholarship for her studies in music and has also been awarded a merit achievement in piano performance by the University of Hawaii Music Department. A triple major in the fields of Music, American Studies, and Spanish, Nina’s interests are eclectic and her enthusiasm for learning encompasses academically diverse spheres. Her varied scholastic concentrations help her channel artistic expression, strengthen her analytic abilities, and nurture a cultural curiosity driven by the spirit of inquiry. Japanese culture has also been a longstanding interest, as Nina is both an avid consumer of Japanese popular media (music and anime) and inquisitive researcher of its art, tradition, and society. She is quite excited about sampling the delicious food, but is wholly eager to experience the beauty and culture of the country firsthand. Nicole is an Art major who aspires to one day become an Art Therapist. 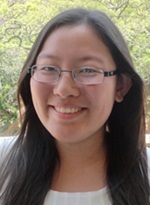 Nicole is also a Dean’s List Honoree from Honolulu Community College in 2012. For the last two semesters Nicole has been part of the Chinese Club, and has participated in the Foreigners Speak Chinese Event this past spring. Nicole has been interested in the art style of Japanese video games and Anime such as Final Fantasy, Kingdom Hearts, Hana Kimi and Nodame Cantabile. She enjoys listening to some Jpop music and music by composer Nobou Uematsu. She is looking forward to learning more about Japanese lifestyle and culture and how art is integrated into their everyday life. Casey Miyashiro was born and raised on the island of Oahu in Hawaii. 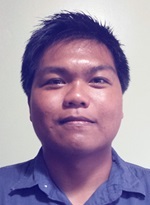 After completing his undergraduate degree, he hopes to pursue a Juris Doctorate. Casey is a recipient of the UH Centennial and University Band scholarships, and will be serving as the section leader for the French horn section this coming season. In his spare time, he enjoys spending time with his girlfriend and family, traveling, and serving his community through volunteering. 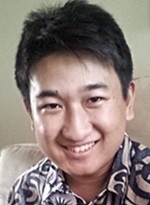 As a Tomodachi-Inouye Scholar, he hopes to gain a finer perspective on US-Japan relations by learning about cultural phenomena and ideology, and through interactions with officials and locals. Casey is grateful to Dr. Dennis Ogawa, the board and members of the Tomodachi Foundation, US-Japan Council, UH, and all involved for this wonderful opportunity. Emily's interests as an American Studies major include culture and its impact and influence on different areas. Being from Hawaii, which is heavily influenced by Japanese culture, she is very interested in being able to see those origins. Emily herself is a fourth generation Japanese American, so being able to visit Japan for the first time is very special. Other interests in school include student government, where she served as a senator and secretary. Her outside hobbies are reading and staying in shape through tennis and hiking. After graduating from UH, Emily will be moving to Philadelphia to teach middle school Language Arts to students through Teach For America. Tarynn serves as the Professional Development Officer for the Public Relations Student Society of America (PRSSA), a student chapter for Public Relations Society of America (PRSA). She also works part-time at the University’s dormitories as a Community Desk Manager. This past semester, Tarynn joined the Retail Merchants of Hawaii as their communications intern and is now working there part-time. 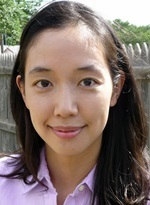 In addition, she is a script reader and announcer for the University of Hawaii News. During her spare time, she likes to exercise and relax with the people she loves. She looks forward to immersing herself into the Japanese culture and making connections with her fellow U.S. and Japanese student ambassadors. Janelle is involved in the Entrepreneur's Club, a business club at the Shidler College of Business. She received an award from the club and next year will serve as Vice President. She is currently an intern with True Innovation, a start-up company that specializes in helping other businesses with online development and website design. She loves to exercise whether its playing sports, going to the gym, or hiking. She also bakes desserts in her free time. At University of Hawaii, she hopes to learn enough to start her own business in the restaurant industry. She hopes to make more connections in Japan, learn about a different culture, learn more about education in Japan, and make new friends along the way. 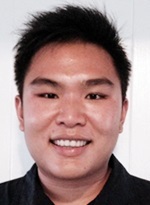 Kellyan has been a committed volunteer at numerous hospitals, rehabilitation centers, and pre-medicine clubs on Oahu. 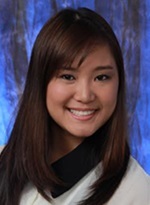 She was selected to be a summer student intern at Kapiolani Hospital for Women and Children (2011) and at Straub Clinic and Hospital (2013 & 2014). This paid internship allowed Kellyan to experience the medical and health care field in a deeper perspective, inspiring her to go to medical school upon completing her undergraduate studies. In her free time, Kellyan enjoys playing the piano, painting, and dancing ballet. Kellyan also enjoys traveling and has international experiences in the countries of Vietnam and Europe. On this trip to Japan, Kellyan looks forward to broadening her horizon as a student outside of the classroom and hopes to gain valuable leadership and communication skills to apply to her future aspirations. She is also looking forward to the opportunity to engage with the uniqueness and richness of Japanese culture and experience Japanese cuisine. Sergey is currently pursuing a double major in Economics and Russian Studies.. Sergey’s plan is to finish his education by the end of 2014, which means he has one more semester to go. In the past, he has spent a lot of time teaching kids how to box at a local boxing club in Kalihi on the island of Oahu. Sergey has done some volunteer work on the coasts of the Pacific ocean, clearing debris and pollution. He has also spent time helping nonprofit organizations raise funds and feed homeless people and help with their needs. 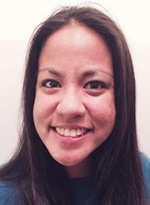 Kayla graduated from the University of Hawaii this past Spring 2014 with a Bachelor’s Degree in Family Resources. She enjoys crafting, traveling, and spending time with her family and friends. Growing up in Hawaii, Kayla is in touch with her family values and loves to take advantage of living in paradise. 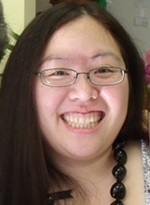 In high school she studied the Japanese language for two years and took various Japanese American/Literature courses while attending the University of Hawaii at Manoa. The past two semesters she was on the Dean’s List at her college. For the past four years, Kayla has been working as an Administrative Assistant for Maryknoll School Special Programs Office. On this trip to Japan, she is looking forward to learning about Japan customs, the history of Japan, and visiting some historical monuments. From this experience, she will better understand all that she has learned about Japan through her studies while in school. 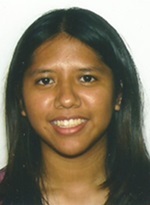 Briana recently graduated from the University of Hawaii at Manoa with a degree in English. Winner of the Meryl Clark Award for excellence in creative writing, she hopes to one day publish a collection of poetry with a focus on cultural identity. Having this past semester taken a class on Japanese Americans, she found a wonderful opportunity to delve into her family's rich history and give it voice. Briana hopes to gain a deeper and ever-evolving understanding of the unique ties between Japan and Hawaii, to further appreciate the generations that have come before and to share the threads of their stories. Chelsie received the Ryokuku University Scholarship for the potential to strengthen the understanding of East-West cultures and relations. During 2012-2013 she participated in the Honor's Program and studied abroad in Tokyo.Her interests include working with children and the elderly. 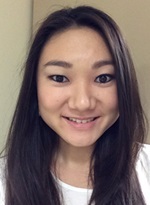 She has worked during the summer as a teacher's assistant at Unity School, which is a preschool in Honolulu.Growing up in Hawaii has been a huge influence for Chelsie in fostering and appreciating her Japanese culture, as well as the diversity of the many other cultures found in the islands. The legacy left by Senator Inouye has impacted not only America, but Japan as well, and Chelsie feels truly grateful to be given this opportunity by the Tomodachi Inouye Scholars Program to represent the University of Hawaii at Moana as a student ambassador to Japan. She is looking forward to expanding her knowledge and perspective about the people of Japan and learning more about Senator Inouye's influence on both nations. 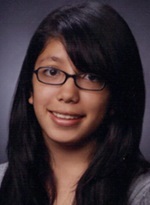 A recipient of the Sophomore High Honors Award, Tawnee's prior coursework includes Japanese language, modern history, and a civic engagement project consisting of volunteer work at a Shinto temple. Aspiring to work in education, Tawnee is currently an afterschool care leader at a Japanese language school and has formerly tutored elementary school students in reading comprehension. With an interest in history and teaching, she views this trip as an opportunity to learn more about the Japanese culture and to practice language skills outside of the classroom. 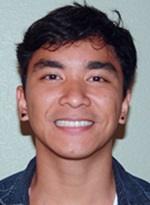 Brendan served as a volunteer at the University of Hawaii at Manoa’s Student Health Services for his last year in college and is a continuing member of the Student Health Advisory Council. He hopes to use the knowledge that he has gained in UH to one day become a student counselor focusing on primary to secondary school counseling. 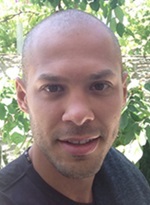 He is currently working on his Master’s Degree in Counseling Psychology to help pursue this goal. Growing up in Hawaii, he has been exposed to much Japanese culture and hopes to learn more about the origins of the cultural practices as well as the rich history and art of such a unique nation. He has shown his interest in delving more into Japanese society through his volunteer work during the Japan Wizards Competition as well as taking classes about the language and culture all throughout high school and college. Though this is not his first experience outside of the US, he looks forward to using this opportunity as a way to widen his world view. Kelsey is a junior who holds Dean’s List merit. Currently, she serves as secretary for the UH Manoa Art Club while actively participating in community service through the UH Manoa Rotaract Club and writing for For the Good Hawaii, a premiere lifestyle blog that focuses on highlighting the distinctive identity of Hawaii. 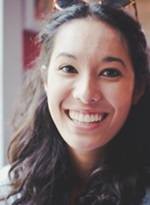 As a fourth generation Japanese American, Kelsey has a deep appreciation of Japan's language and culture following 7+ years of education in Japanese language as well as multiple classes on Japanese art and architecture. She looks forward to gaining an insight on US-Japan relations and learning more about the late Senator Daniel K. Inouye while experiencing the rich culture that Japan has to offer. While attending the University of Hawaii at Manoa, Heather has been a member of the Golden Key National Honor Society and was a participant in the Student Support Services program. In the past Heather has also received the American Studies Achievement Scholarship, the Hemenway Scholarship and the Women’s Campus Club Scholarship. 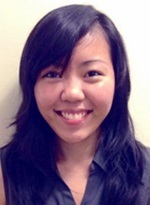 The main focus of her studies at UH has been on Asian American history and its influence on Asia-Pacific relations. Her fascination with Japanese American history is the reason why Heather chose to write her American Studies capstone senior project on the usage of Issei photographs in the 20th century. On this trip, Heather is most excited to taste authentic Japanese cuisine, to learn about Japanese history from a native Japanese perspective, to experience Japanese fashion and to discover more about the culture that has had such a large influence on her upbringing as a Yonsei. Dennis M. Ogawa received his Ph.D. from UCLA in 1969 where he was honored as one of the founders of the UCLA Asian American Studies Center. His teaching and research interests are in the area of Japanese American Studies, Television and Ethnic Identity, and Multicultural Studies.Professor Ogawa’s books (a number of which are best sellers for the University of Hawaii Press) include Jan Ken Po: The World of Hawaii’s Japanese Americans, Kodomo No Tame Ni — For The Sake of The Children, and An Unlikely Revolutionary: Matsuo Takabuki and The Making of Modern Hawaii (assisted in autobiography). One of his writings, “From Japs to Japanese — Evolution of A Subculture,” has been cited often as a pivotal essay in the founding of Asian American Film Studies. 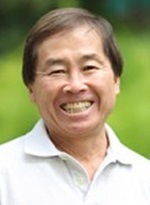 Scholar Darrel Hamamoto says it was “noteworthy for its seminal contribution to the formal discourse of controlling images in media.” Professor Ogawa also has published articles in journals such as The Annals of the American Academy of Political and Social Science, Journal of Communications, and Journal of Black Studies. For more information, please see his profile in the UH American Studies Department. A Communication Department faculty member at the University of Hawaii at Hilo, Patsy teaches the series of journalism courses which she created, developed and implemented. She finds teaching, mentoring and encouraging students in applied learning environments exciting and rewarding. She also specializes in Japanese American immigrant history and has conducted extensive research in this area. Receiving a research grant from the Goto of Hiroshima Foundation inspired her to create the graphic novel “Hamakua Hero: A True Plantation Story,” about early Japanese immigrant Katsu Goto, shedding light on an intriguing and tragic, but little known piece of Hawaii’s past. She produced two short videos on Goto for Honolulu’s Bishop Museum’s current “Tradition and Transition: Stories of Hawaii Immigrants” exhibit and is currently working on a full length documentary on Goto and his niece Dr. Fumiko Kaya for which she recently received a grant from the Hawaii State Legislature, YWCA, UH Diversity and Equity Initiative and others. This past spring break she traveled to Japan with her team to interview key sources and film sites. She has studied at the University of Hawaii at Manoa, the University of Oregon, the University of Hawaii at Hilo and Sophia University in Tokyo. 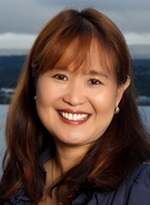 She is very active in the community, serving on the boards of several organizations dedicated to education, youth and the Japanese American community. 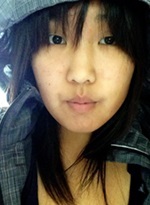 Christine is a PhD candidate in English and Creative Writing at Texas Tech University where she studies contemporary American poetry and Asian American literature. Her first book of poems, Birds of Paradise, examines the effects of the Japanese American immigration and WWII incarceration experiences. She has taught writing and literature at Texas Tech and co-taught classes in American Studies with Dr. Dennis Ogawa at the University of Hawaii. This fall, she will begin teaching at Ithaca College in Ithaca, NY as a Pre-Doctoral Diversity Fellow.